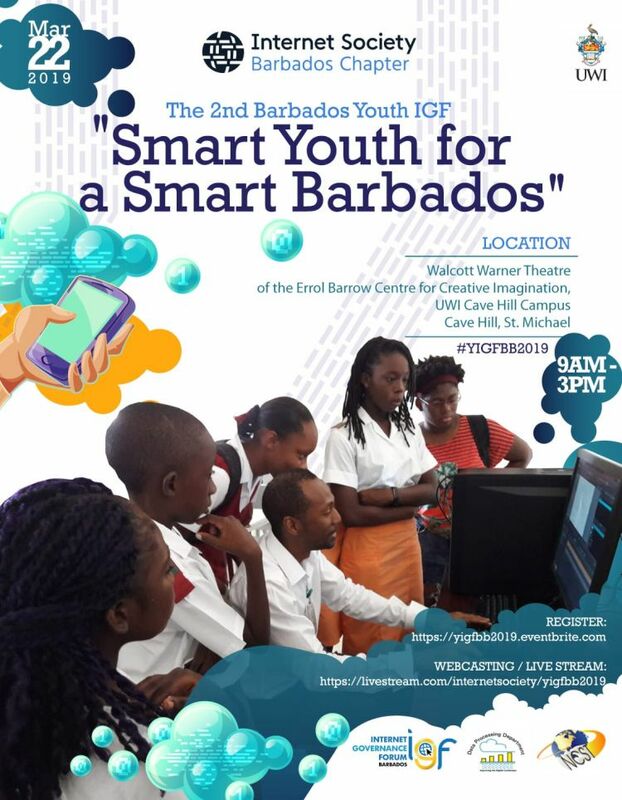 Youth IGF Barbados 2019 is a national initiative in similar vein to the global Internet Governance Forum (IGF) held under the auspices of the United Nations (UN) IGF Secretariat. Theme: Smart Youth for a Smart Barbados. Youth Initiatives of the IGF are created with a goal of encouraging and involving young people in substantive discussion on Internet governance. These IGF formations, as well as national, sub-regional and regional IGFs, are expected to follow the main IGF principles of being open, inclusive, non-commercial with a multi-stakeholder participation during the whole preparatory phase and the event itself, all in line with a bottom up decision making process. Panel Discussion: What is digital and media literacy and why does it matter. Panel Discussion: Are you ready for the jobs of tomorrow? Please note that the session will be streaming live at https://livestream.com/internetsociety/yigfbb2019 and photos and video clips will be circulated on the Internet.